I have owned and shown shetlands for over 25 years. They have given me a huge amount of pleasure and I feel that now is the time to try and give something back to the breed. With this in mind we are breeding large performance ponies based on Riccalton, Southley and my own Tickner lines. These are ponies with the scope to succeed in many disciplines. Our mares have been carefully selected for temperament, type and size and have been successfully shown in hand. I like to back my mares before they are bred, to enable me to assess their potential as riding ponies. 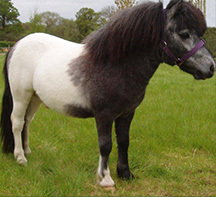 These guys are a bundle of fun for the ambitious child, who starts out on the lead rein, but is aiming for showing, jumping or even the Shetland Grand National. They will turn their hooves to anything!